Fake Rhino Horn – Will fake trade pose a danger to regulated trade? Counterfeit Rhino horn trade is big business within Africa and Asia of which poses a significant threat to any proposed legal Rhinoceros horn trade, regardless of what the pro trade lobby has suggested within online forums and meetings with governmental environmental agencies. Within this article we look at just how big such trade is and whether it will actually threaten the proposed lifting of the still banned Rhino horn trade within South Africa. 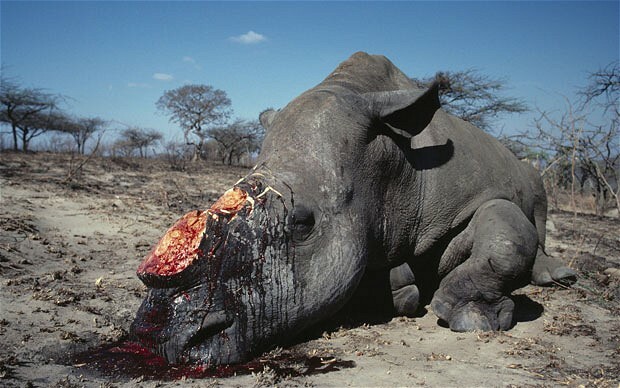 Pro trade lobbyists believe that by flooding the market with genuine Rhino horn that such counterfeit trade will be diminished and should not pose any real significant threat to legal trade or increase poaching furthermore. Although the counterfeit trade is not really a major issue to any such proposed legal trade, criminals that want to make a quick buck regardless of any such trade being made legal will still continue peddling fake horn regardless of who the legitimate suppliers are. We are after all talking of “money making” here. Rhino horn smugglers are now making very high quality fake horns, allowing unscrupulous hunters to sell the real horns at a huge mark-up to black market dealers for traditional medicine and status symbols. The fake horns are made with top quality resins and look so authentic that they are almost impossible to distinguish from the real thing, a report presented July 2012 to members of the Convention on International Trade in Endangered Species (Cites) says. The report, presented to the convention’s standing committee in Geneva, says Cites officials have been alerted to the increasing involvement of “professional hunters in the illegal Rhino horn trade”. Yet hunters deny having any involvement within the trade whatsoever. “Trophies are exported to hunters after a legal hunt, but once the hunters have received the trophies in their home countries, the original Rhino horns are removed from the trophies and replaced with fake horns.” This is rather interesting as since 2014, March our investigative unit the CICU has yet again viewed a staggering increase in what looks like real horns and fake horns online for sale. Cites did not specify in which country the fake horns were being made and sold, but details in the report point to the possible involvement of either American or European hunters in the fake horn scam. In 2012, wildlife investigators in the US arrested several American and Vietnamese nationals in a major bust in several cities across the US following the seizure of numerous Rhino horns, some of which were suspected to have originated from legal Rhino hunts in SA and other parts of the continent. There have also been a series of robberies from museums and private collections across Europe over the past two years in which the horns were stolen from mounted rhino head trophies. But Cites officials have now found a way to smoke out the culprits. “Fake horns can, however, be identified relatively easily by collecting and burning a small quantity of dust from the horn, which will deliver a distinctive smell indicating that it is not Rhinoceros horn. Another possible source of the fake horns could be in Vietnam, which has been implicated as the end destination of dozens of SA rhinos shot legally by Vietnamese poachers posing as bona fide trophy hunters. The report notes that Vietnamese authorities had pledged to conduct a stock-taking exercise to check whether SA Rhino trophy horns were still in the possession of Vietnamese hunters. People who no longer had their horn trophies should be able to tell investigators who the horns had be sold to. While fake Rhino horn is fraudulent, there are numerous effective, viable and affordable substitutes for Rhino horn in traditional medicine, the use of which has been encouraged by government and traditional medicine authorities, and surveys indicate that most practitioners are adopting them. Consumer attitudes toward rhino horn as a medicine have been little studied (although research is underway in Viet Nam). In Japan, only 17% of nearly 1,200 people surveyed had heard of Rhino horn as a medicine, and just 1% said they had ever taken any. Trade in counterfeit Rhino horn is not just problematic within Africa, Europe and Vietnam. Indian kingpins and traders have also devised ways in which to produce rather crude fake horn that has fooled buyers into purchasing leaving them out of pocket. The standard advice to smell a Rhino horn to know if it is real or not has made con artists come up with fake substitutes made of wood and dry bamboo root with a little frog meat rubbed in for the authentic “odour”. In the clandestine world of Rhino horn smuggling, buyers are always in a hurry and usually go by the smell. And horn traders are making the most of it. The “markets” are now flooded with these wooden horns and few can tell the real from the fake. A source in the forest department revealed the recipe: wood, dry bamboo root modified by using lac. “Meat of frogs and other animals is also rubbed on the fake horn to replicate the smell of a Rhino horn,” the source said. The Rhino horn — which is in heavy demand in south Asian and middle-east countries — is prized for its supposedly aphrodisiac and unproven medicinal qualities. This alternative market came to light with the recovery of a fake rhino horn from Bokakhat town near Kaziranga National Park January 28th 2012. Two persons, Mrigangshu Kalita and Ajit Bora, were also apprehended from Bokakhat when they were about to strike a deal. Kalita, however, managed to give police the slip and escaped under cover of darkness. Bora hails from Garmurh in Bokakhat, while Kalita hails from Jorhat district and had been staying in a rented house in Bokakhat. Acting on specific information, a team of forest officials set up a decoy and the duo were apprehended while they were waiting to meet a buyer. 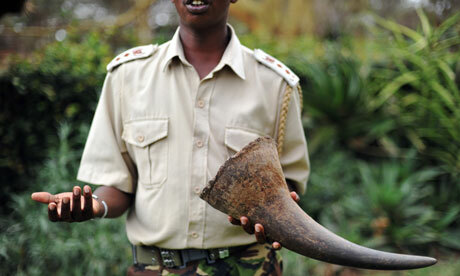 “We did not realise that the horn recovered from them was a fake one until we brought it to the forest range office and examined it,” a forest official said. “We are interrogating Ajit, more things will come to light,” he said. Forest department sources said there has been a spurt in demand for Rhino horns in the international market recently. Assam has witnessed the death of 15 rhinos this year (2014). The last poaching incident took place last week of which two poachers were shot dead in a heavy battle. The Telegraph had recently reported about a group of buyers from Bhutan camping at Mangoldoi town near Orang to buy the horn of a Rhino which was killed at the park on January 10 2012. A forest official, however, said the only positive side to the development is that buyers would now think twice before buying a Rhino horn from Assam. International Animal Rescue Foundation’s CICU investigative teams located many peddlers online selling what is “believed” to be genuine horn and what appears to be wood crafted horn. The Convention on International Trade in Endangered Species of Wild Flora and Fauna seem non-to concerned that this trade “illegal” is quite clearly evident. What is more worrying though is that such a trade in counterfeit horn can have a serious detrimental effect on the proposed legalisation of real horn trade. Should fake trade hamper any legitimate trade then poaching will only increase if not rage completely out control leading to the extinction of our Rhinoceros within a matter of eight years if that. Conservation Investigations Crime Unit located the following online – these traders are still actively selling wildlife parts ranging from Rhino horn, Elephant ivory, Tiger parts, Pangolins, Bear bile and skins from various mammals. Mr Sidi Salem, Kafr El-Sheikh is selling below what appears to be crafted wooden Rhino horn for some £30,000 weighing in at an approximate 55 grams from the trading site dubizzle.com that is located wihtin Egypt. CICU department that runs Operation Trojan Horse has previously linked this area far north of Africa to rather large trade of ivory products. Late last year our investigative team located various “carvers” of which they are passed on various sums of ivory to be carved then smuggled into Saudi Arabia. From Saudi Arabia the parts are then smuggled into Eastern China. A further trader is peddling what appears to be old (antique) Rhino horn from the classified site of be3weshtry.com one of many sites located within Egypt. The trader is a Yemeni man that is still trading from this site although there are no updated details. We cannot confirm if this is real or what may be counterfeit horn. Either way this trade is illegal and threatens any legitimate trade. A third trader is peddling from another Egyptian site what he claims to be antique Rhino horn. On viewing such horn in great detail it appears more resin like rather than any real Rhino of which is clearly advertised. 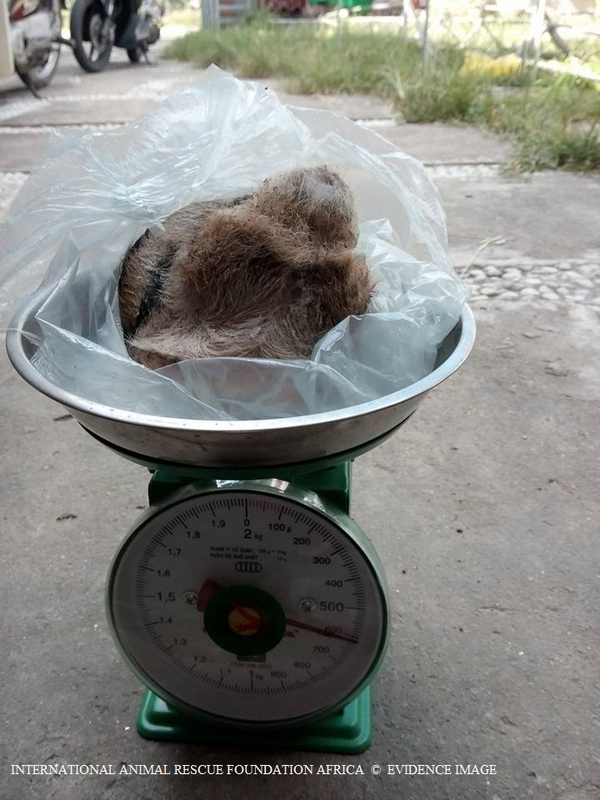 The site listed hereto is mmlkat-ala7jar.com has been under close observation by the CICU unit and EAD since 2012 of which is filled with many wildlife parts under the guise of “antique”. International Animal Rescue Foundation Africa printed recently on a rather suspect Rhino horn that was up for sale below. The horn, quite clearly is not antique as has been suggested within the article. The trader is still peddling even though Interpol Environmental Crimes Unit have been informed. Furthermore what is more concerning whom is supplying this individual from Africa with Rhino horn? This particular article is somewhat outdated however the CICU and EAD montier sites regularly of which they have passed on intelligence of conversation and potential sales of wildlife trade to the Interpol’s Environmental Crime Unit. The trader that goes by the name of Razzer Q uploaded this one particular horn back in 2008. Intelligence has shown that this trader is also peddling in counterfeit horn and still trading from this site. A fifth trader that quite clearly goes to the lengths of advertising all contact details, email, and cell number has been peddling again what appears to be “fake” Rhino horn from Egypt. We cannot state if this is real or counterfeit however evidence of such fake and real Rhino horn trade within northern Africa is growing by the month. Please click on the picture below for more information. Just to give you an insight into how crude traders and scammers are online and on the ground, the picture listed below is from a trader advertising within the Ukraine what they state is their “own Rhino horn”. If one researches you’ll actually view what these scammers are selling are horns that were confiscated by wildlife and environmental investigative authorities. The scammer[s] have simply uploaded the pictures then created a site of which they are trying to fool potential buyers into believing they are actually purchasing illegally from legitimate traders. Click the picture for more information below. Fake Rhino horn trade is vast and spans the entire globe. Scammers also pose a significant risk to any potential legalised trade just as much as those that are peddling resin made Rhino horn. Conservation Investigations Crime Unit located a staggering 385 advertisements alone just within South Africa trying to scam purchasers with fake advertisements. Photography within these advertisements we can easily trace to pictures of seized Rhino horn. A RECENT study in Vietnam, sponsored by the World Wildlife Fund (WWF), reveals that demand for Rhino horn may be much larger than previously thought. It shows that, in addition to consumers of Rhino horn, there is a large group of “intenders” — people who intend to buy Rhino horn when they can afford it. The study shows that Rhino horn is bought not just for traditional medical purposes, but also as a status symbol. Rapid growth in living standards means the number of people who could become consumers of rhino horn is potentially enormous. These findings cast doubt on the viability of proposals, supported by the South African government, to introduce a legalised, regulated market in Rhino horn. Supporters of such an approach believe a regulated market offers a better chance for the survival of the world’s remaining Rhinos than a ban on all trade. They argue that a ban on trade has perverse consequences — it raises the price of horn and so increases the incentive for poachers. By contrast, this view suggests that legal sales of stockpiled Rhino horns, plus the dehorning of live Rhinos to sell their horns, would drive down prices, reducing the incentive to poach. This is of course not proven and as much as one tries to argue this point with the pro trade lobbyists their main response is more in the line “we have to give it a try at least”. Concluding we have many avenues that have still yet to be exhausted by the South African Government that may or may not preserve the Rhinoceros, either way that MUST be tried and tested. We have to exhaust all our options before leaping forward into a trade that could potentially cause more harm than good. Rhino poaching is increasing of which for this year alone to date (2014) we have lost some 192 Rhino of which the majority are slaughtered within the Kruger National Park. Counterfeit Rhino horn trade regardless of what any pro trade lobbyists state poses a significant threat to the any legal trade. Should trade be legalised and with vast evidence of “counterfeit and illegal” trade still online and on the ground will the legitimate trade actually decrease counterfeit trade and scams? International Animal Rescue Foundation Africa believes not. For example those that are merely wanting to make a few hundred thousand of which do not use Rhino horn will still continue to sell imitation Rhino horn to individual users that wish to purchase at a decreased selling price, this “type of trade” or “undercutting” is no different to the sales in illegally imported tobacco and liquor . The South African government will have to tread very carefully now and ensure that should they be given the go ahead to trade from Cites then the price will have to be right with “controlled and professional trade” practiced at all times. Corruption must be addressed as to the hundreds of thousands of imitation sellers and scammers online and on the ground dealt with. Rhino pseudo hunting must also be banned too. Evidence is quite clear that hunters and farmers are in on the fake and real horn trade. Cites and the Department of Environmental Affairs are more than aware of this yet fail to acknowledge the seriousness of this problem. Rhinoceros horn is not medicine and has never been proven to cure any form of medical ailment within humans. Very high concentrations were experimented on within rodents and of which only showed a very small decline in temperatures induced by scientists. The evidence is below of which clearly shows Rhino horn containing natural ingredients that are commonly located within the human hair and fingernails, horse hoof, tortoise shell, and parakeet beek. I will be writing more on this article in due course of which I will be going into more detail of such imitation trade and trades not related to Rhino horn that have been exploited costing the globes governments billions in lost revenue every year. Imitation trade and unregulated trade is rarely documented on within the public domain of which needs to be. What I myself find rather concerning as the Chief General Director is the ease that my team can locate illegally traded Rhino horn, Elephant ivory and Tiger skins online within countries that have supposedly tight online security. Yes the majority of my team are multi-bilingual speakers it doesn’t take a rocket scientist to locate illegal activities. Furthermore I wish to express my concerns at the lack of policing and intelligence sharing from one government/policing authority to another. Lastly, we have documented time again on the increasing wildlife trade within Northern Africa I.e Egypt of which not one single arrest has been made with regards to the peddling of Rhino horn and Elephant ivory. 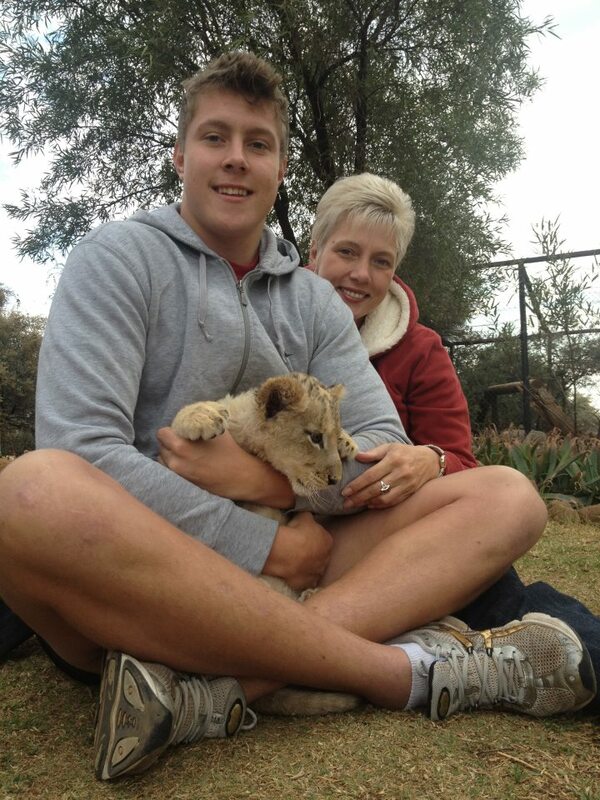 Tourists contribute to Lions future extinction. Citizens around the globe last week rose up against the African canned hunting fraternity seeing many hundreds of thousands take to the streets from London, South Africa, even America and Australia and many more continents. Demonstrating against the repulsive and barbaric practice of canned Lion hunting and canned hunting in general. The Johannesburg march can be seen lower down the page. Tourists from around the world that visit Africa are still failing to acknowledge the damage they are causing by visiting Lion petting farms and safaris that operate under the guise of “conservation”. One safari that we took a brief glimpse into is Shingelani Safaris that has links to Texas, United States and is primarily based within Southern Africa. Shingelani Safaris states nothing on its website about petting farms nor directly encourages on its site tourists to participate in such petting. Hunting is though on the agenda of all Big Five. Shingelani Safaris has within its grounds many big cats and cubs of which tourists have been frequenting for some years. The Safari operator hosts many hunting operations netting many hundreds of thousands of Ran/Zar yearly. Rhino, Elephant, Lion, Buffalo, and Hippopotamus are just a few of the animals that can be hunted. Tourists around the world seem completely oblivious to the financial support they are providing to these so called sanctuaries, conservation areas (all being fenced in) and safaris that organise summer camp visits. Shingelani is one of these safaris. Bengal Tigers, Lions, Cheetah, Leopard and Servel are just some of the captive breed cats that are being raised on Shingelani’s “sanctuary”. Are alarm bells ringing within your head yet? More to the point have you ever witnessed Tigers within South African National Parks roaming freely? No, then maybe you should ask Charmaine or Shingelani just exactly where these cats are ending up? 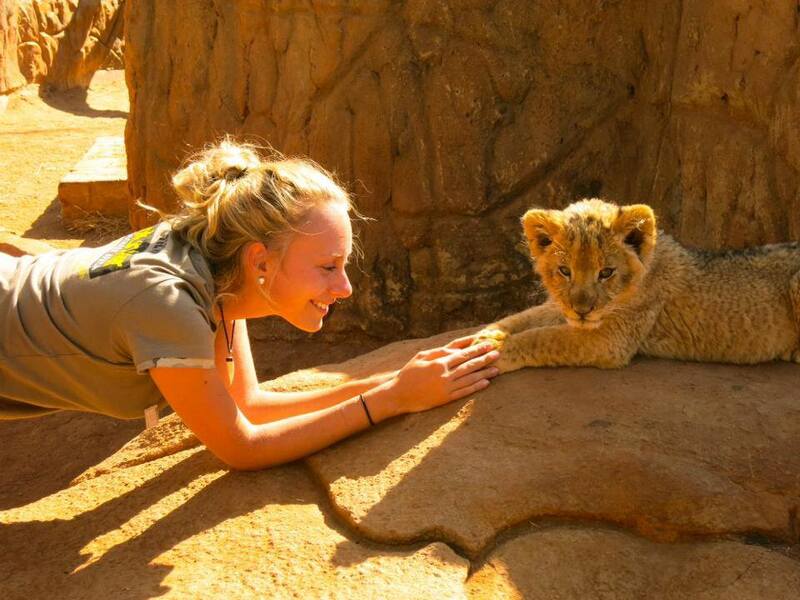 Every year thousands of people visit facilities where they can interact with Lion cubs. 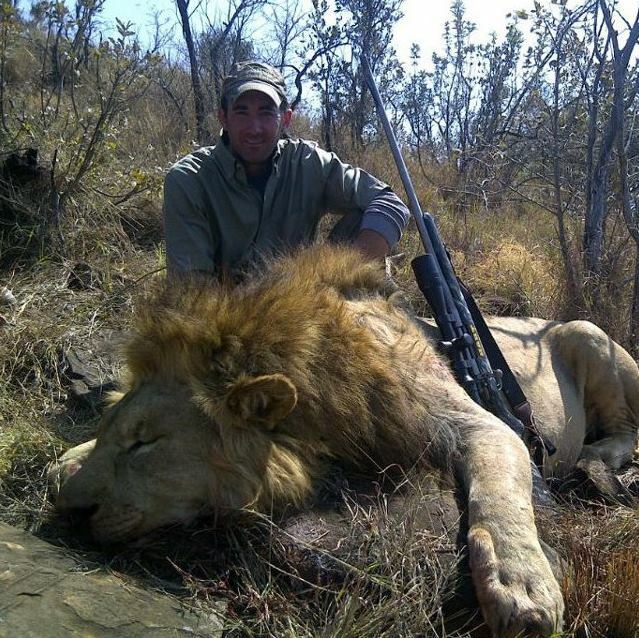 Every day, a captive bred lion is killed in a canned hunt. The truth is that these Lions are the product of factory farming. The cubs are taken from their mothers so that she can produce another litter in six months’ time, as opposed to two years’ time, if she had the opportunity to raise her own offspring. These factory farmed cubs are often kept in unsuitable cages with little regard for their social requirements. For a fee you can play and have your photograph taken with them. One South African female hunter Charmaine Vuuren didn’t pay much of course for her experience. She works for the hunting organisation Shingelani supported and sponsored by Dallas Safari, SCI, Professional Hunters Association of South Africa and Wild Sheep Foundation. Charmaine and co are pictured below. What happens to these human imprinted animals when they have outgrown their usefulness? Because they are human imprinted and have been deprived of growing up in a natural social group they cannot be rehabilitated or sold to game reserves. Do these Lion cubs benefit from this forced interaction? How can they! What possible enjoyment can they derive from being pawed, picked up and being posed all day long, day after day, until they have grown too big? Are these animals part of breeding programmes that will save Lions from extinction? NO! These inbred, human imprinted and psychologically damaged animals have absolutely no conservation value. They cannot be rehabilitated into the wild. As I have previously explained how many Tigers do you actually see within the wild of Africa? You may see the odd one that has been let out into the wild that was once a pet. Not really a streak of Tigers though is it? Captive Lions or any captive big cat cannot be used to supplement dwindling wild populations. They can be used as canon fodder in the canned hunting industry. Every reputable animal welfare organization in the world considers the practice of using lion cubs for human playthings as cruelty. Lion cubs are by their very nature not gentle animals. Lion cubs used for petting opportunities are normally trained not to scratch or bite. How do you think a naturally boisterous animal is trained not to behave naturally? These cubs are sometimes even drugged! What about your safety? 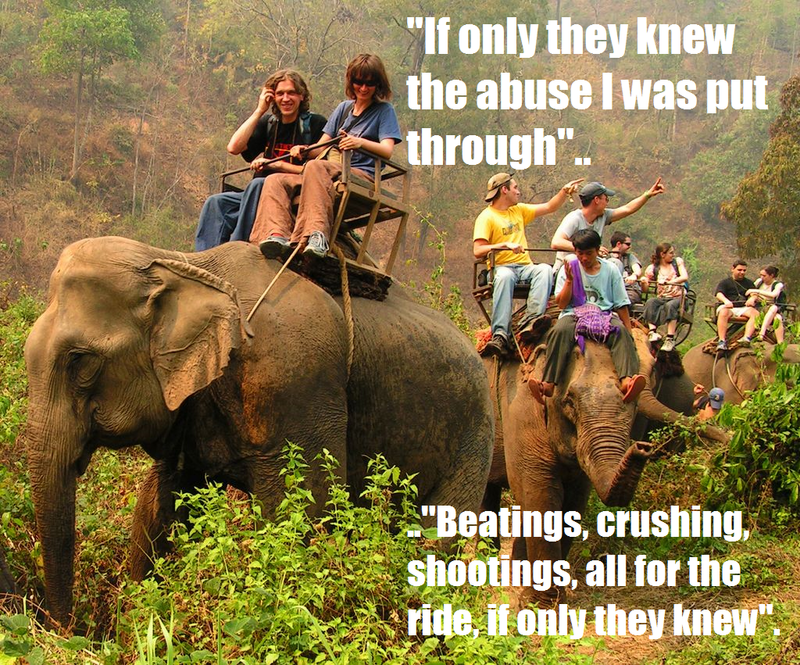 Every year many people are injured while interacting with wild animals in petting parks. Why do you think that they want you to sign an indemnity or have signs stating that you play with these animals at your own risk? Do they warn you about the possibility of being infected with parasites carried by these animals, some of which can be deadly? Where are the cub’s mothers? Why aren’t they being raised by their mother? 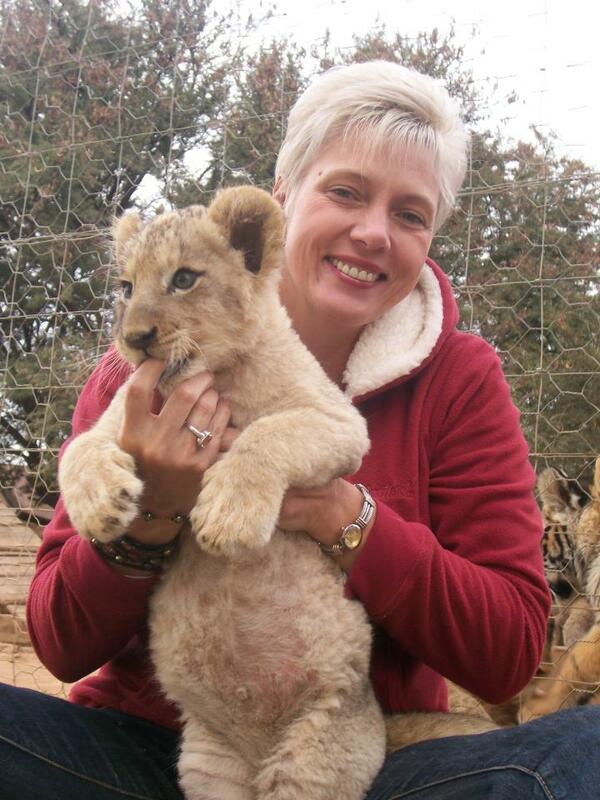 Often, operators rent lion cubs from bigger breeding farms. What happens to them when they grow too big? If they are rehabilitated Where have they been rehabilitated and is there supporting documentation? Once they have been rehabilitated, do they have the opportunity to live out their natural lives, or is their rehabilitation just to facilitate their death at the hands of hunters? If they are sold to game reserves which game reserves (by name)? If they are part of a breeding program for what purpose? What happens to surplus animals? The operators of facilities with Lion cubs often have all the answers, but if you start asking these questions you will at some point be faced with a hostile response. At the end of the day it is up to you how you spend your money. We urge you to practice responsible tourism. If you are compelled to play with a Lion cub that has been stolen from its mother and is subject to stressful and unnecessary handling day after day, please do so with the knowledge that this is probably why it has been bred and what will happen to it! In reality your hard earned money that goes into supporting Lion farms ends up coming out with a dead animal. 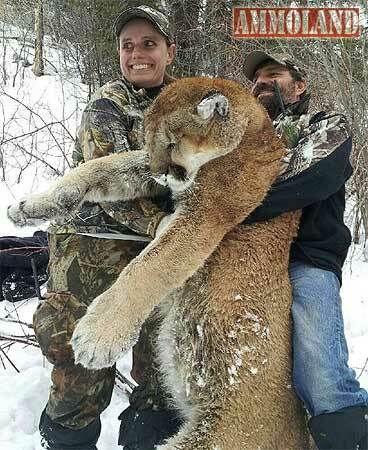 Most likely a Lion as pictured below killed in between February and March 2014 by US hunter Jeremy Conklin. Moving back to Charmaine the hunting organisation that she works very closely with she tends not to leak this information onto her Facebook profile or make it too public most likely in the hope that no one will locate what she is supporting and destroying. In fact if one looks at Shingelani website you can clearly see that there is also a slight difference in the name pictured on Shingelani site to that of her Facebook profile – of course this is not really an issue however we are trying to show how these individuals try to conceal and not make much of a public display with regards to their hobbies and work. Lion breeders and petting farm owners, safaris that participate in such horrid activities tend to keep rather quiet and are secretive too. To many questions asked raises suspicions as to whom you are. Petting farms and hunting nets big financial gain, if you’re seen to be trying to hamper such activities or destroy them you are then classed as an (anti-hunter) or attacked outright. Global March Against Canned Hunting in Johannesburg can be viewed below. The majority of studies carried out imply that safari and zoo visitors induce stress within a wide range of captive animals. Under no circumstances should any member of the public pet animals, feed them or be encouraged by the owners to participate in handling animals. Evidence also states that the vast amount of research carried out generally points to a negative effect and that the way in which an individual animal reacts to people will be reliant upon its species or the individual. Many studies agree that visitors are of a harmful influence for some primates (Hosey, 2000), (Wells, 2005) and (Fernandez et al., 2009). Generally this confirmation shows itself in the appearance of variations in behaviour associated with human visitors (Carder and Semple, 2008). Hosey et al. A 2010 study by the Plymouth Student Scientist stated (2010) describes behavioural indicators of stress including, increased abnormal behaviours, especially stereotypies, more intra-specific (between cage-mates) aggression and inter-specific (human directed) aggression. Increased activity is also mentioned (or sometimes decreased activity), along with lower instances of affiliative behaviours like grooming. Morgan and Tromborg (2007) highlight the detrimental effects of chronic stress responses on the long-term health of captive animals. They describe consequences such as, immunosuppression, poor reproduction and self-injurious behaviour. One would be led to think that such “Safaris” that operate under the guise of “conservation” and being as they say “scientifically literate” would be aware of such disturbances in behaviour and health. It seems not though with regards to Shingelani Safaris. Tigers, Lions, Cheetahs and other cats are mostly bred on captive farms dotted around safaris or within the safari grounds itself. There are though more sinister and quite worrying concerns as to where many of these cats are deriving from though. 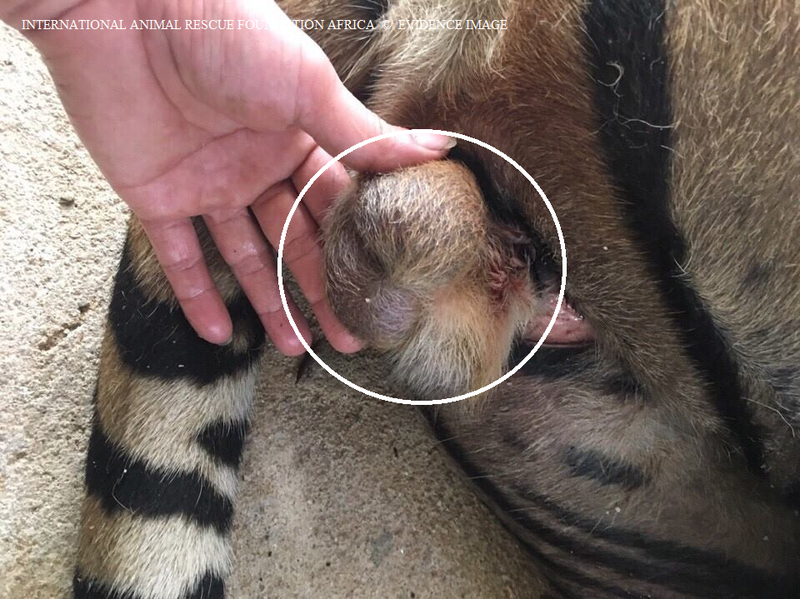 For example the Bengal and Sumatran Tiger we have noticed breeders within Botswana and South Africa breeding and selling from various sites around Africa. Please view the links below. The SPCA a highly professional and recognised organisation quotes below the implications of “trading and owning exotic pets”. 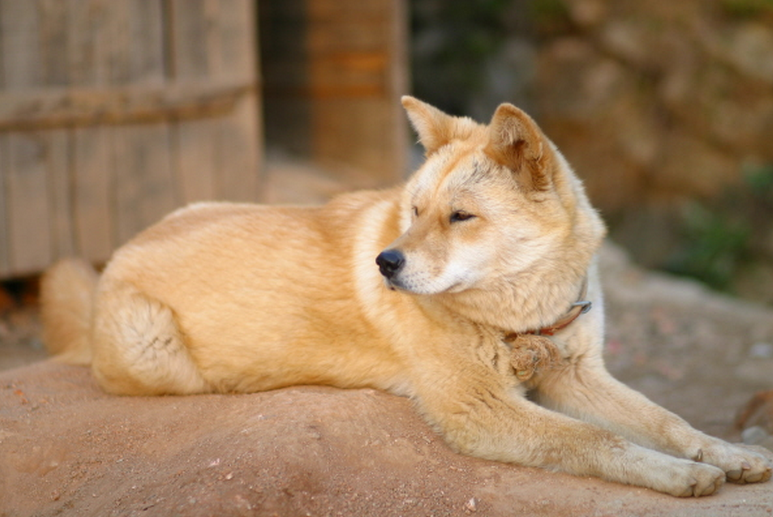 The practice of importing and exporting wild animals as pets has been happening for decades. Much of the trade is driven by purely whimsical impulse purchases and for prestigious reasons. Entertainment fads often determine which wild animals are the fashionable pets of the moment and everything from the smallest reptile to a full-grown tiger can be sold to anyone for the right price. However, most owners don’t realise the huge responsibility or costs involved when they purchase exotic pets. Nor do they consider what is going to happen to these animals when the novelty wears off. According to the Humane Society of the United States, the exotic pet trade is a multi-billion dollar industry, second only to the drugs and weapons trades in terms of its gross worth. Millions of animals are forced into the exotic pet trade every year for the purpose of becoming someone`s pet or entertaining the masses in a circus or zoo. Exotic animals in captivity are bred intensively to supply the demand, or create colour morphs that are sought after for their novelty value. Unwanted exotic pets can end up back in the exotic pet trade but some are released into the wild where, if they survive, can disrupt our local ecosystem.. These remain wild animals that do not take comfort from living in a household. These animals have to be caged and denied their natural behaviours to form part of “the family”. By supporting the exotic pet trade you are supporting animal cruelty. Read more in the link below. Canned hunting is a fast growing business in South Africa supported by many international tourists. As much as we continue to push this awareness into the public domain evidence has clearly shown that the canned hunting business has increased dramatically. We have compiled this short article to clearly illustrate how these farms run, how tourists are supporting such a trade, and the negative impacts of what Lion farming has on the wild Lion populations. Least forgetting to that many safaris are not what they make out to be. You the tourist must start questioning these safari operators and supporting us and other organisations that are working quietly to close these operators down. Since 2012 -2014 Lion farming has increased dramatically thanks to the unsuspecting members of the public that visit such safari operators. The ongoing capture of wild lions to introduce fresh blood into captive breeding will negatively affect the wild population, while the the explosive growth of the Asian lion bone trade, fuelled by canned hunting, will impact severely on wild lions through an increase in poaching. 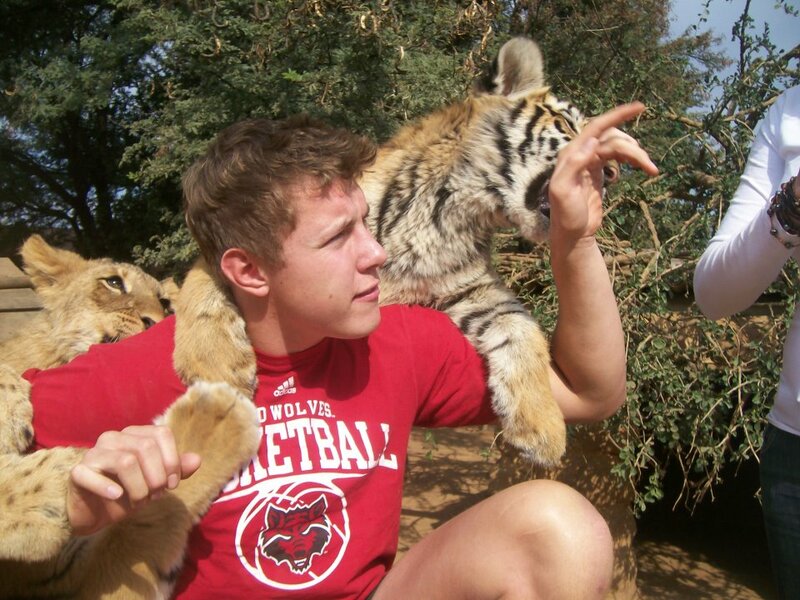 Tourists are directly contributing to Lions and other bigs cats future extinction. Although Lions are not as yet “endangered” the sheer decline in wild population numbers coupled with the increase in Lion and canned hunting businesses will evidently see such stunning cats banished from the African continent. 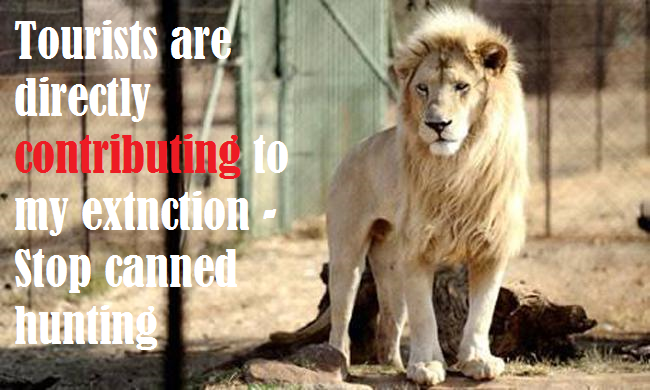 Canned Hunting and breeding farm operations must end now. No excuses. We are killing our species of by funding the very people we are trying to stop. It makes no sense. The media above depicts another threat to the Lion species. International Animal Rescue Foundation Africa endeavours to show all sides to the story so that all areas of conservation are lobbied. Habitat fragmentation, climate change, human species conflict and the counterfeit Tiger bone trade (Lion bone) are primary conservation welfare concerns of which we must address on an international scale. Please donate to our our organisation here all monetary donations is ploughed directly into Funding African Wildlife Survival F.A.W.S for more information please email us here at info@international-animalrescue-foundation.org.uk – Every donation you place our US and Eire organisations place $10.00 to your donation. Speak Up for the Voiceless.Org a conservation and environmental organisation publishes articles raw from the investigative room. We endeavour to ensure that all articles are factual and true to the best of our knowledge. We keep on record unpublished all proven and factual documentation for cross examination should public scrutiny occur. From time as with many organisations mistakes can be made or typos. Please contact us below within the comment box should you view such mistakes with proven data so that such errors can be rectified. Climate change has been slowly creeping up to Africa now for the past ten to twenty years. Many species of animal and flora have been affected by such catastrophic climate changes of which needs taking into account when we point the finger of blame at “hunters” with regards to species decline. International Animal Rescue Foundation Africa does not support hunting however we have to make it aware to many activists that call out hunters that climate change and global cooling is more a contributing factor today than one singular hunter. Our climate is changing, both naturally and due to human exploitation. There is already undeniable evidence that animals, birds and plants are being affected by climate change and global warming in both their distribution and behaviour. Unless greenhouse gas emissions are severely reduced, climate change could cause a quarter of land animals, birdlife and plants to become extinct. Coupled with “poaching and hunting” Africans wildlife is in more danger than originally thought. International Animal Rescue Foundation last year 2013 documented daily on many Africans aves species of which seven out of ten species were coming under extreme threat from climate destruction and global temperature rise. Climate variability and change affects birdlife and animals in a number of ways; birds lay eggs earlier in the year than usual, plants bloom earlier and mammals come out of hibernation sooner. Distribution of animals is also affected; with many species moving closer to the poles as a response to the rise in global temperatures. Birds are migrating and arriving at their nesting grounds earlier, and the nesting grounds that they are moving to are not as far away as they used to be and in some countries the birds don’t even leave anymore, as the climate is suitable all year round. A sea level rise of only 50cm could cause sea turtles to lose their nesting beaches – over 30% of Caribbean beaches are used by turtles during the nesting season and would be affected. The already endangered Mediterranean Monk Seals need beaches upon which to raise their pups and a rise in sea level could there could damage shallow coastal areas used annually by whales and dolphins which need shallow, gentle waters in order to rear their small calves. We have also noted the vast decreasing populations of Spheniscus demersus, Bucerotidae family, deer, antelope and all Africans big cat species. Humans have already destroyed many of the natural migrations of animals. The migratory journeys of Wildebeest in several African countries are stopped by fences. Changing rainfall patterns are causing dams to be erected in some areas of our planet, not taking into account the migratory fish and mammals that annually migrate up river to breed and spawn and water birds which rely on wetland sites for migration are at threat from rising sea levels caused by human effects. On the other side of the coin, the atmosphere is sucking moisture from the land at a greater rate than ever before causing severe droughts in many countries which are now facing reduced crop production and major drinking water shortages. Although it is thought that no species has yet become extinct exclusively because of climate change, many migratory and non-migratory species are expected to become extinct in the near future. Over hunting is concerning of course – climate change is ever more worrying of which has potential to wipe out over a period of ten years for example thousands of species unless climate change in Africa and internationally is addressed accordingly. We must also not forget humans that will also suffer from climate change destruction of which again places animals in danger within Africa. Evidence has already proved that dogs and cats are being consumed on a regular basis in small towns and city’s dotted over the Africans continent. Agriculture is also vastly affected by climate change of which has a knock on affect to “cattle stock and arable land”. No fertile lands equals a reduction in food for cattle = reduction in human food. This most certainly induces hunger and famine. Evidence proves too that in famine hit and war torn areas within Africa poverty stricken families have been involved in poaching of wild Rhino, Elephant and other mammals just to live and provide income and whatever food they can access of which has increased in price. 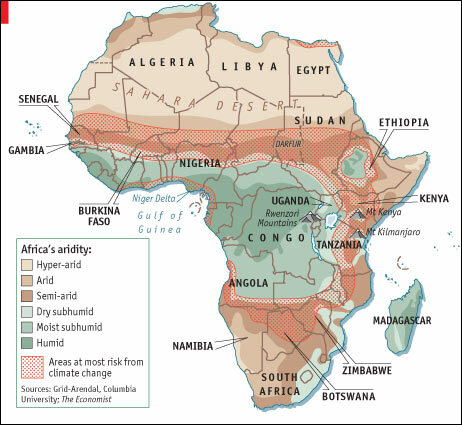 Africa is one of the most vulnerable continents to climate change and climate variability, a situation aggravated by the interaction of ‘multiple stresses’, occurring at various levels, and low adaptive capacity (high confidence). Africa’s major economic sectors are vulnerable to current climate sensitivity, with huge economic impacts, and this vulnerability is exacerbated by existing developmental challenges such as endemic poverty, complex governance and institutional dimensions; limited access to capital, including markets, infrastructure and technology; ecosystem degradation; and complex disasters and conflicts. These in turn have contributed to Africa’s weak adaptive capacity, increasing the continent’s vulnerability to projected climate change. We regularly see many animal activists arguing that hunting has the most devastating effects on wildlife either in Africa or internationally. Hunting is not our major concern though to “species depletion”. Many animals that are hunted within Africa are mostly hunted on private and thus do not place wildlife “within the wild” in any real danger. Activists must concentrate their anger and frustrations now on “climate change” as a whole. 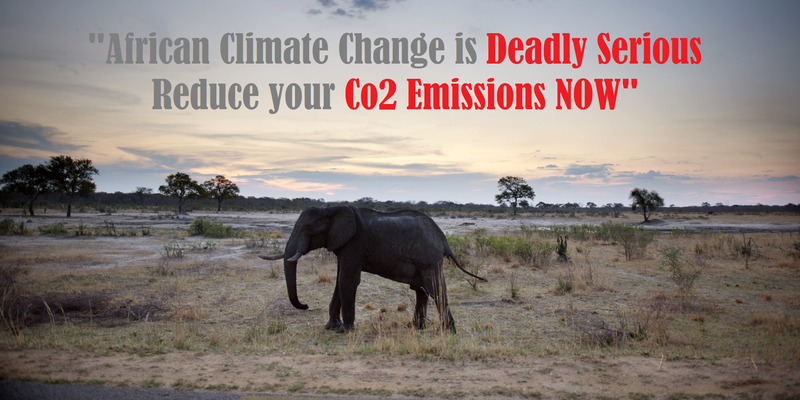 Ignoring this most critically important issue will just see more species perish from lack of awareness and actions in helping to reduce Co2 (carbon) emissions internationally that have undesired effects on the Africans continent. Changes in a variety of ecosystems are already being detected, particularly in southern African ecosystems, at a faster rate than anticipated (very high confidence). Climate change, interacting with human drivers such as deforestation and forest fires, are a threat to Africa’s forest ecosystems. Changes in grasslands and marine ecosystems are also noticeable. It is estimated that, by the 2080s, the proportion of arid and semi-arid lands in Africa is likely to increase by 5-8%. Climate change impacts on Africa’s ecosystems will probably have a negative effect on tourism as, according to one study, between 25 and 40% of mammal species in national parks in sub-Saharan Africa will become endangered. “It is virtually certain that in the long term, global precipitation will change. High latitude countries, such as in Europe or North America, are expected to receive more rainfall, but many … subtropical arid and semi-arid regions will likely experience less precipitation … Over wet tropical regions, extreme precipitation events will very likely be more intense and more frequent in a warmer world,” said the report’s authors. They added: “Monsoon onset dates are likely to become earlier or not to change much while monsoon withdrawal rates are very likely to delay, resulting in a lengthening of the season.” Developing country scientists and commentators have welcomed the report, which they said backed their own observations. The report derives from the IPCC (Intergovernmental Panel on Climate Change). “The IPCC makes the case that climate change is real and happening much more strongly than before. We are already seeing the effects of climate change in Bangladesh and across south Asia. It’s not news to us. Most developing countries are facing climate change now. They do not need the IPCC to tell them that the weather is changing”, said Saleemul Huq, director of the International Centre for Climate Change and Development, based in Dhaka. Scientists have also lowered projections of sea-level rises. Depending on future greenhouse gas emissions, sea levels will rise an average of 16-24in (40-62cm) by 2100. Nevertheless, there will be significant geographical variations; many millions of people living in the developing world’s great cities, including Lagos and Calcutta, are threatened. Weather disasters are also more likely in a warmer world, the report suggests. Although the global frequency of tropical cyclones is expected to decrease or remain essentially unchanged, they may become more intense, with stronger winds and heavier rainfall. Oxfam predicted that world hunger would worsen as climate change inevitably hurt crop production and disrupted incomes; this will most certainly place wildlife and domestic mammals in grave danger too. They suggested the number of people at risk of hunger might climb by 10% to 20% by 2050, with daily per-capita calorie availability falling across the world. Back in 2008 the National Geographic reported the following based on Lion studies and climate change. Activists must take heed of this information now. Droughts and downpours exacerbated by climate change allowed two diseases to converge and wipe out large numbers of African lions in 1994 and 2001, according to past studies. Lions regularly survive outbreaks of canine distemper virus (CDV) and infestations by a tick-borne blood parasite called Babesia. But both normally occur in isolation. In 1994 and 2001, however, a “perfect storm” of extreme drought followed by heavy seasonal rains set up the conditions for the two diseases to converge, the study said. The effect was lethal: The synchronized infections wiped out about a third of the Serengeti lion population in 1994. The nearby Ngorongoro Crater lion population experienced similar losses in 2001. “It was already well known that die offs can be triggered by droughts and floods,” Craig Packer, an ecologist at the University of Minnesota in St. Paul, explained in an email from his research site in Tanzania. “We were able to identify the interacting components of a lethal co-infection that had not previously been considered,” he said. The research is published in the issue of the journal PLoS ONE. Packer and his colleagues combed through more than 30 years of data on the lion populations to determine the complex combination of factors that caused the mass die offs. They found that at least five CDV outbreaks swept through the lion populations with no ill effect. The two die offs, which are also tied to CDV outbreaks, were preceded by extreme droughts. Probing further, the researchers discovered the droughts weakened lion prey, including the Cape buffalo. No Cape buffalo will evidentially decrease Lion populations of which the Buffalo is the Lions most sought after prey. Do you see the problems here that are almost identical to that of human overpopulation yet many activists still continue to lay blame at the hunting fraternity which must now change. We are all to blame for increasing climate change – Climate destruction is much more volatile than a hunter with a rifle too. When the rains resumed, Babesia-carrying ticks emerged en masse and proliferated in their buffalo hosts. Many of the buffalo died. The lions feasted on the weakened, parasite-infested buffalo, but the feast left the hunters with unusually high concentrations of Babesia. The subsequent CDV outbreak proved lethal, according to the study. “CDV is immunosuppressive—like a short, sharp bout of AIDS—thus greatly intensifying the effects of the Babesia,” Packer said. This co-infection, or synchronization of the diseases, caused the mass die offs, Packer and his colleagues concluded. Sonia Altizer is an ecologist who studies wildlife diseases at the University of Georgia in Athens. She was not involved with this study, which she said is “at the leading edge” of the field. “[It] lays out mechanistically how a climate anomaly could allow a combination of pathogens to have a lethal one-two punch,” she said. Study author Packer and his colleagues warn that as global climate change continues to produce more extreme weather anomalies, potentially fatal synchronized infections are likely to become more common. “Many mysterious maladies [such as] colony collapse disorder in honeybees are likely to result from co-infections,” Packer noted. Altizer said the research adds to a growing body of evidence showing how extreme climate events can have major impacts on the spread of infectious diseases. Since more deadly co-infections are likely to arise, she said researchers need to reconsider how they treat wildlife and humans. “Understanding the mechanism by which the animals are actually dying or succumbing to disease then changes how you should go about preventing that,” she explained. In the case of the lions, Packer noted, wildlife managers may be able to better protect populations by reducing their tick loads immediately following a drought rather than controlling for CDV. National Geo-Graphic. Climate variability and change could result in low-lying lands being inundated, with resultant impacts on coastal settlements (high confidence). Climate variability and change, coupled with human-induced changes, may also affect ecosystems e.g., mangroves and coral reefs, with additional consequences for fisheries and tourism. The projection that sea-level rise could increase flooding, particularly on the coasts of eastern Africa, will have implications for health. Sea-level rise will probably increase the high socio-economic and physical vulnerability of coastal cities. The cost of adaptation to sea-level rise could amount to at least 5-10% of gross domestic product. Turkana is a prime example of how climate change is forcing people within Kenya, Africa to now kill and consume dogs and cats. 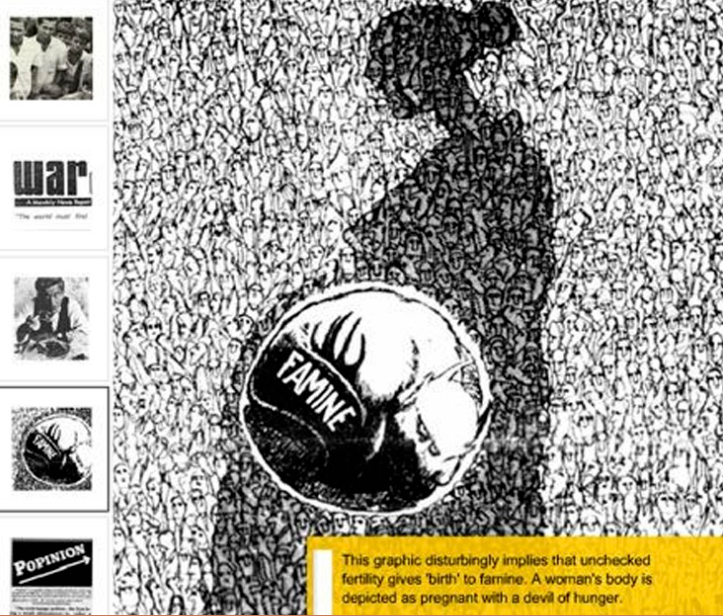 Famine is rife; agriculture has been greatly scaled back due to lack of rains. Soil stability and access to water has worsened of which any form of suitable crops simply cannot be grown. We have picked Turkana as an example here to show how climate change can push people into attacking our wildlife on a vast scale. No water or food will force you into consuming whatever is edible. In this case dogs and cats are now on the menu. A taboo food many people in within Turkana actually do not want to consume, they are left though with no choice. Agricultural production and food security (including access to food) in many African countries and regions are likely to be severely compromised by climate change and climate variability (high confidence). A number of countries in Africa already face semi-arid conditions that make agriculture challenging, and climate change will be likely to reduce the length of growing season as well as force large regions of marginal agriculture out of production. Projected reductions in yield in some countries could be as much as 50% by 2020, and crop net revenues could fall by as much as 90% by 2100, with small-scale farmers being the most affected. This would adversely affect food security in the continent forcing many poor Africans to hunt for whatever is available. Decreasing human birth rates and introducing contraception is not the whole answer here to the problem. Even if human population was decreased it still does not answer the problems that climate change is actually causing. Aggravated by many countries that still use fossil fuels famine and poverty will only increase more. Richard Leakey has spent a lifetime exploring Kenya’s Turkana Basin searching for the origins of man. Each layer of sediment, says the paleoanthropologist and founder of the Turkana Basin Institute, helps to tell the narrative of human evolution. “You get the whole story of life represented going back from the present right back to the beginnings of an ape that has two legs as opposed to four,” Leakey said. “So the whole story of humanity you can actually trace to the Turkana Basin.” But Leakey says these ancient hills tell another story, a history of climatic changes that gave rise to some species and led to the extinction of others. With climate change, he says, this history could be repeated. “The future of humanity is not going to be in the sediments, it is going to be in our minds and our thinking and unfortunately what we find here is that evidence,” Leakey said. “What we find here that is scientifically provable, immutable facts doesn’t necessarily get absorbed for the moment by the political class who simply don’t want to know the ugly truth that the world is a mess.” On the shores of Lake Turkana — the largest desert lake in the world — they don’t need to know the science of climate change. For more than 1,000 years, fishermen have been bringing in their catch, but, in less than a generation, they have witnessed disturbing changes. “When I was young this lake was full, says Lazarao Maraka, a local fisherman. Maraka has reason to worry. Sometimes it is hard to see the effects of climate change, but not at Lake Turkana. Thirty years ago the area was covered with water. Now, it is just sand and gravel. And scientists believe that in just a few decades it will be reduced to a couple of puddles. Upriver dam projects could further hasten the retreat, a potential catastrophe for the entire region that depends on the lake for food and economic survival. Leakey’s Turkana Basin Institute is trying to understand how climate change is affecting the Turkana. Sometimes the best thing to do is listen. The Turkana say the rains are less frequent and the droughts come more often. The unpredictable weather and vanishing pasture has decimated their herds. 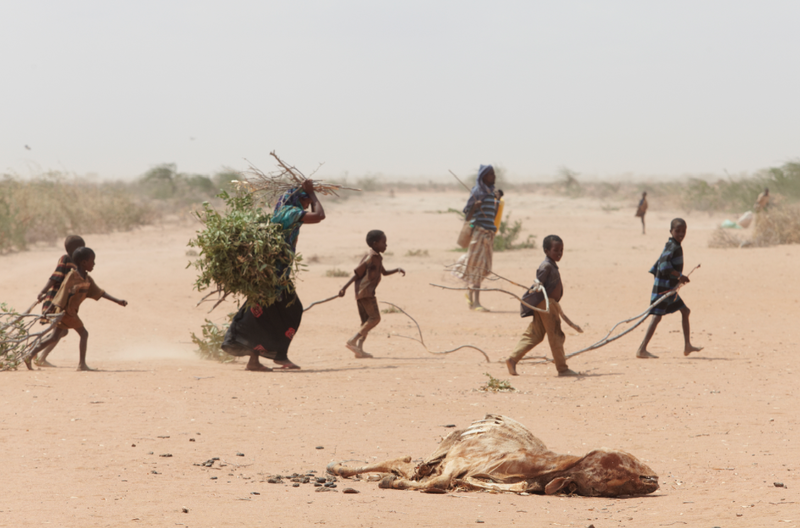 Climate change does affect the Turkana people, says Ikal Angelei from the Turkana Basin Institute “With the increase of drought it has made the communities unable to adapt to the changes, because it happens so often,” Angelei said. Leakey says that anyone sceptical about climate change should visit the Turkana Basin. “Coming to a place like this, I think you actually show people what happens. These are real issues that you can see and feel and almost touch that may make people understand that we are on the edge of a precipice and we are going over,” he said. “We have accelerated a process and it is based on the belief that somehow we can maintain control. I think our carbon dioxide emissions are out of control.” Even with the changes around Lake Turkana, fishermen like Lazaro Maraka still try to eke out a living the only way they know how. He worries what will be left for his son Eroo if the lake continues to recede. “If there is no lake or no fish, then the people will not survive around this lake. This lake is the Turkana’s life,” Maraka says. This place has helped unlock humanity’s past. Today, it could also be providing a window on its future. 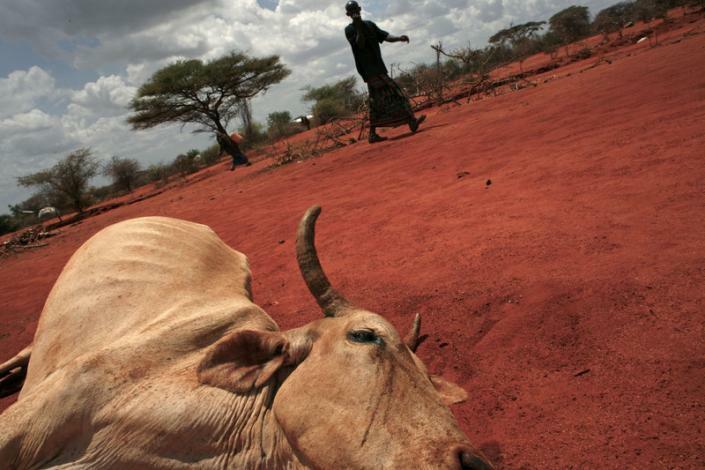 View the video below on the devastating impact of climate change in Turkana that has now forced villagers to consume dog and cat meat. Climate change in Africa is fuelling poaching from locals at an unprecedented rate. Travelling north in Uganda, the land flattens out and becomes drier, turning from tropical to semi-arid. Paved roads change to dirt and after a few hours you reach the most remote region of the country. Home to semi-nomadic cattle keeping people, the Karimojong, Karamoja is scarred by dry river beds and dotted with manyattas, small settlements made of sticks and ringed by fences of thorns. About ten kilometres outside of Moroto, the largest town in the Karamoja, in one of these manyattas, lives Lowakabong Tapem. Crawling through a small opening in the fence, you’ll find him and his eight wives and 40 children. Tapem used to be a rich man. He carries a walking stick and wears a navy blue suit jacket over cargo shorts. Around his wrist is an ivory bracelet that he bought for ten cows. But then last year, warriors from a neighbouring clan came and stole all his animals in a series of raids. He lost 70 cows, 30 camels and 40 goats. ‘I don’t have anything to give my wives; they are the ones who take care of me now, by going and looking for herbs,’ Tapem says. The elder blames the drought that has plagued the region of Karamoja in recent years for the theft of his livestock. ‘The hunger has increased the raids,’ he says. ‘Someone sits under the tree for a whole day. He doesn’t have anything to do; he doesn’t have anything to eat. “So he thinks, let me just go for a raid”‘. The conflicts Moon spoke of might seem abstract and apocalyptic – too far in the future to worry about. But in Uganda, it seems climate change driven violence is already here. The cattle keepers of Karamoja have raided each other’s herds for generations: for prestige, to pay dowries and to increase their wealth. But today, many in the region say that warriors are increasingly driven by hunger. Sitting on a bench in the stark afternoon sunlight, the elders of Tapem’s manyatta agree the climate of Karamoja has undergone a transformation in recent years. ‘Previously during this season there was rain and it was green around. Now you look around . . . everything is different. It’s completely changed,’ says Apangamea Lobur. Before, ‘we would expect that when you came around here you would find green grass and plants of medium size,’ Lokawa Pareo says. The government of Uganda estimates that the average temperature has increased between 0.2 and 1 degree C in the country since 1974. The semi-arid region of Karamoja, already susceptible to drought, has been particularly affected by this change. It adds up to an undeniable change in Karamoja’s climate, says the official. ‘Climate change is aggravating the situation and the impacts are being seriously felt. [Global warming] is becoming a reality.’ And as the environment has worsened, the people`s hunger pangs have sharpened. A 2010 report by the Danish NGO DanChurchAid concluded that in Karamoja ‘climate change is worsening food insecurity dramatically.’ According to the report, 85 per cent of people surveyed in two districts of Karamoja have only one meal a day. Back inside the manyatta, one of Tapem’s wives shows off an empty garden. ‘If we plant anything, the sun will just come and burn up all the crops, so we don’t even think of planting”. If we last up until the following day, we thank God for that,’ says the patriarch. These days, the people of the manyatta are largely dependent on NGO and government assistance for food. It’s a change from Tapem`s younger years, when the community was more self-reliant. ‘We were better off because we didn’t depend on the government so much. It’s just these recent years and especially this one where we don’t have anything at all,’ Tapem says. Cattle raids are a tradition in Karamoja going back to before colonisation. When guns proliferated in the region in following the overthrow of Idi Amin, however, they became increasingly destructive. 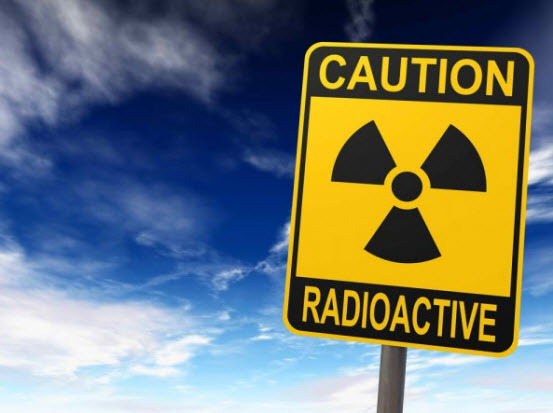 A decade ago, the government of Uganda launched a massive disarmament program designed to stamp out raiding in the area. But despite the army’s collection of over 30,000 guns, the effort hasn’t put a stop to raiding in Karamoja. Rather, cattle raids have changed nature. A number of factors, including increased demand for land and high youth unemployment and, of course drought, have resulted in raids of a different type. Instead of the massive ritual raids of the past, today warriors who steal tend to steal only a few animals at a time. And in spite of the government’s efforts to eliminate the violence in the region, Karimojong continue to die at the hands of their neighbours. At least two or three people die each month in raids in Moroto district, admits resident district chairman Norman Ojwe. And that’s in just one region of Karamoja’s seven. Outside of Tapem’s manyatta, several boys in their late teens are escaping the mid-afternoon sun under a lone tree. These boys used to be charged with keeping their families’ cattle. But there’s little for them to do since their fathers’ herds were raided. ‘I knew all the colours of the animals and when one got lost and was missing, I could find it,’ says Lokwango Nachiro, whose father lost his cows in a raid last year. The drought means that these boys have given up on agriculture as a means of producing food. ‘The weather is not favouring us now. The soil is not fertile; if it was we would try and grow sorghum,’ says Paul Louse. Though their community was devastated by raiding, they see the violent form of theft as the only way to obtain a good life for them and their families. ‘The only hope of getting rich would be to go and raid,’ Louse says. Rhino and Elephant poaching we can rightfully state the major problem here is to fuel the Asian market with fake medicine and cultural gifts. However Asians are not poaching African wildlife. Africans are at the heart of all poaching within Africa. Organised syndicate gangs prey on vulnerable African communities such as those situated in Kabok, Mozambique. Family head men and young boys risk their lives venturing over the border taking out our Rhino and Elephant. Ivory and Rhino horn is of no use to them. Money is though and if one Rhino horn can fetch a family a roof over their heads, farmland, food and security then poaching of this “level” will increase. International Animal Rescue Foundation Africa is currently lobbying the government of Southern Africa, Mozambique, Botswana and Zimbabwe to now help poor communities situated next to the Kruger National Park in the hope that hunger and poverty can be addressed. The Department of International Development (DID) based in the United Kingdom are also being lobbied and hopes for a secure future for these poverty stricken individuals International Animal Rescue Foundation Africa is working towards. There is of course sadly though no promise of which should these areas continually be ignored then poaching of our vulnerable wildlife will continue leading to extinction on both levels caused by humans. Greed and over-usage of carbon fossil fuels has had more of a devastating effect on Mama Africa than most civil wars. By making new use of historical records, scientists have shown that climate change could have a greater impact on Myanmar’s elephants’ dwindling numbers than previously thought. 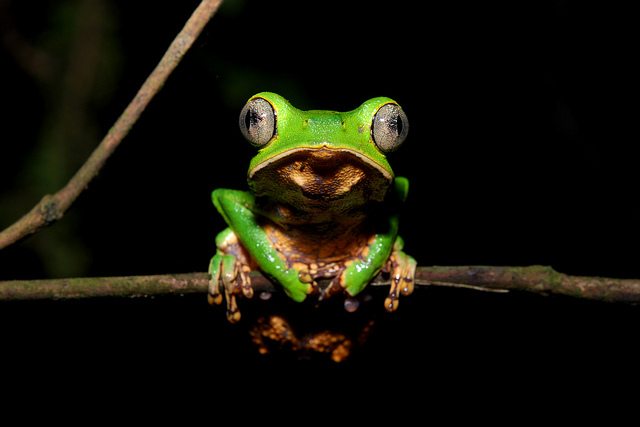 Hannah Mumby from the University of Sheffield, who led the study, found that the already endangered species faces further struggle as even the slightest temperature change can lower their chances of survival dramatically. Climate change leaves the animals at risk of drought, disease and death as the heat causes freshwater supplies to dwindle, infectious diseases to spread faster and brings with it one of the biggest killers of elephants in Myanmar – heat stroke. The study found that elephants thrive at an optimum temperature of 23oC, and deviations from this leave them more vulnerable. The Myanmar region is predicted to experience a rise of 0.1 to 3oC, over the next 30 to 40 years – a seemingly small change, but one that could wipe out the entire elephant population. ‘We think of elephants as very resilient animals, very robust, but then we see at the same time there is a very narrow range at which they are at their optimal survival. If the climate changes by even a few degrees it can substantially reduce survival,’ says Mumby. She continues: ‘We found that the youngest elephants, the calves, are quite susceptible to extremes. 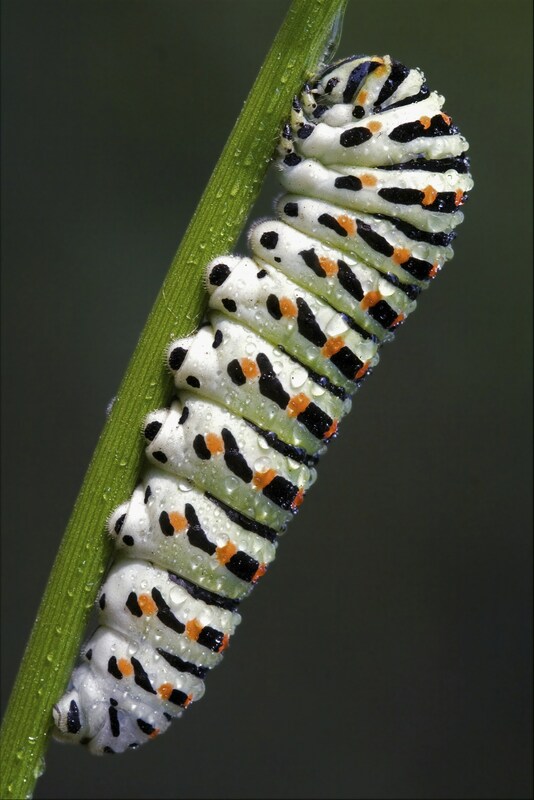 Once we move out of their optimal to their maximum temperature, it doubles their mortality risk’. The discovery that calves are particularly threatened by rising temperatures is important, since these offspring are integral for the survival of the species. Elephants, like humans, reproduce later in life and if the calves die before they can mate then the species will be unable to survive. The variations in temperature between seasons in Myanmar are already large, but the climate projections show that not only will temperatures rise but there will be fewer monsoon months. The higher the rainfall, the better the chance of survival is for the elephants; dryer hotter months could prove to be fatal. International Animal Rescue Foundation Africa takes on board all scientific climatic data of which we will unfortunately view climate change destruction as the number one killer of human and animal life within Africa by the year 2100. We will see most certainly a significantly large depletion of wildlife pushed into extinction due to climate change and destruction aggravated by the over usage of fossil fuels and carbon emissions. Secondly but most importantly families that are/have been affected by climate change will endeavour to poach more animals just to stay alive or are forced to consume domesticated mammals. The animal rights community and anti-hunter brigade must now take it on board that hunting is the least of our worries. Climate change can in under ten years wipe out an entire species of mammal which then has a significant knock on effect to other ecosystems and species of animals least affected by climate change. Governments internationally that fail to take this climate change in Africa seriously will be the death of Africa’s economy, tourism, agriculture and wildlife. This article has used up to date sources and to date reliable scientific data. We believe that climate change is more than real and those who disbelieve are only damaging our African wildlife and human population furthermore. If we fail Mama Africa – We fail 1.033 billion people living within Africa (2011 stats) and billions of species of African wildlife. Jon Williamson Chief European Environmental Registrar. Speak Up For the Voiceless is a separate non-affiliated organisation not directly connected to International Animal Rescue Foundation – Speak Up For the Voiceless.Org voices its concerns and speaks up for our wildlife that cannot do so. Please donate to International Animal Rescue Foundation here Your donation is used exclusively to Fund African Wildlife Survival – F.A.W.S without your donation we cannot continue our work in ensuring mammal and flora preservation. When donating you will automatically be sent an electronic receipt of which we keep one too. You will be communicated too when all donations are used via each project. This years project is Project F.A.W.S. For every donation you place to us we will add a further $10.00 per donation. – africanaffairs@international-animalrescue-foundation.org.uk When we communicate to you via our fundraising event this is the only email that we use, please do not be fooled by other communications of which if you have been contacted by others mimicking us please email our organisation immediately with email too that has been sent to you.